It has been a busy time for the Animal Liberation Sanctuary since September 2011, with improvements implemented to the care of the animals as well as finalizing plans for construction on the new land a short walk from Kopan Monastery. In December 2011, a temporary road was built out to the new land and construction of the outer wall began. The building of the caretaker’s house followed, and then the main animal shelter. 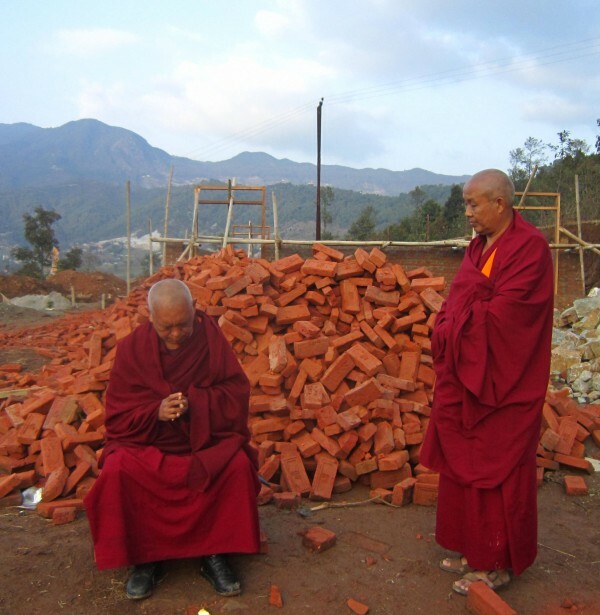 Rinpoche visited the land in February and was happy with the progress and pleased that the long-awaited sanctuary would soon be up and running. The goats and sheep, rescued by Rinpoche from butchers in Nepal and India, will be happy for the move as their temporary accommodation at Kopan Monastery and Nunnery is reaching its limit. For more information, contact sanctuarynepal@animail.net or visit www.enlightenmentforanimals.org.